Read more about social networking . . .
Dad’s reply: My dear Lilly, like wow! Really? Cool. Whatever! I suggest you two get married on Twitter, have fun on Tango, buy your kids on Amazon, and pay for it all through Paypal. And when you get tired of this new husband, sell him on Ebay. Founded by Mark Zuckerberg, Facebook was designed as a social networking site for Harvard students. After spreading from Harvard through the university ranks and down into high school, Facebook was opened to the public in 2006. Use EHow to learn how to set up a Facebook account. Started in 2003, MySpace was a driving force in popularizing social networking and still maintains a large userbase. A highly customizable social network, MySpace continues to reposition itself in the industry. Create a Flashy MySpace Profile. Use EHow to learn how to set up a MySpace account. What started out as a microblogging website has quickly grown into a social messaging platform and one of the top social networks in the world. Twitter is phenomenon that transcends social networking to provide an outlet for news, trends, buzz, and chat among many other uses. Use EHow to learn how to set up a Twitter account. Read more about the advantages and disadvantages of social networking sites . . .
Social networking has revolutionized the way people work and play. Anybody who grew up doing the 1990s or before knows that before social networking and mobile applications it was next to impossible to know what your friends were doing at all times. Now, with the power of social networking, people can create their own profiles which serve to act as virtual personalities, and update their profiles with information about where they are, what they're doing, who they're with, etc. Social networking sites also serve as virtual scrap books where photos and videos can be posted. A social network can become a conference room to discuss matters of importance or points of interest. 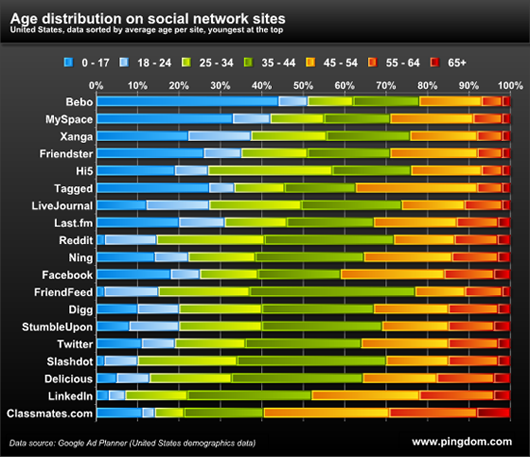 More and more social networks are even being used to find romance and love. Social networking sites hold many benefits for reasons both public and private. Read more about the benefits of social networks . . .
Social networking is everywhere. It is common to find parents, children, coworkers and even the elderly on the networks across the social media world on sites such as Twitter, MySpace, Facebook, YouTube and LinkedIn. With social networks people across the world have access to tools and options that were previously non-existent. However, there are just as many new opportunities to connect as there are to get into potential danger. Social networking has opened up many new doorways for cyber-crime, and with all the people on social networks who are completely new to technology, it is more important than ever to make sure people are aware of the risks. Read more about the dangers of social networking . . .
A blog (also called a weblog or web log) is a website consisting of entries (also called posts) appearing in reverse chronological order with the most recent entry appearing first (similar in format to a daily journal). Blogs typically include features such as comments and links to increase user interactivity. Read more about blogs . . .
Blogging is becoming more and more popular everyday. Should you join the blogosphere? Take a look at this list to help you make your decision about blogging. Read more about why to start a blog . . .
Is Blogging is Right for You? Before you start a blog, it's important to determine if blogging is right for you to ensure your blogging experience will be successful. Read more to determine if blogging is right for you	. . .